The clock is counting down and I am so excited for you to be able to experience 80 Day Obsession!! This program isn’t about being obsessed with working out – it’s about seeing YOURSELF as a priority. Your family, your friends, and everyone else around you will be happiest if YOU are happy and take some time to care for yourself. I am absolutely hands down so excited for this program to be released. I know it’s going to transform your mind, your body and you are going to realize that you ARE capable of getting results. 80 Day Obsession is all about! Autumn really breaks it down with this program. It focuses on your abs and booty, and let me tell you, IT WORKS! If you have weight to lose you are going to shed lbs, build lean muscle and tone your entire body. Autumn introduces timed nutrition, which is a Macro-nutrient plan that is timed to produce amazing results. Here's a little more info. on that. You will feel like you have your own personal trainer! Seriously, it's like you're getting over $11,000 worth of personal training from Autumn for under $500!! With 80 Day Obsession, the Portion Fix System containers are used, but this program utilizes a timed macronutrient program. It tells you what to eat WHEN – taking the guesswork out. Like the 21 Day Fix, you’ll do a quick calorie calculation to find out which bracket you fall into. However, with 80 Day Obsession you’ll be eating the proper macronutrients to fuel your body what it needs at just the right time. You’ll get a pre-workout and post-workout meal. For example, for breakfast your bracket may say you need one green, one red and one blue. This truly will maximize getting the right nutrients into your system to optimize performance and muscle growth and recovery. BONUS – you also get a “refeed” day. That’s when the nutrition plan gets a bump up in carbs… all to add to those glycogen stores. You’ll do it on a leg day, and the first one happens at 6 weeks. Then, “refeed” days happen every few weeks after that. For 80 Day Obsession, you’ll need weights, resistance loops and sliders. If you've done PiYo, you probably already have the sliders. I am really excited to be able to guide you through the program from start to finish. I can hop on a call with you if you’d like to discuss this program further to see if this is right for you. If you are ready to reserve your spot in my 80 Day Obsession group – complete the application at the end of this blog post to apply. This will begin January 15th. -Showing up daily and participating. The only way to get the best results is to feed your body with the best fuel you can give it. This challenge pack includes everything you need for the entire duration of the program – plus you save $275. I will be honest…. if you are wondering why you need the performance line- I will tell you this. You will be SORE, you will want to refuel with the Beachbody performance line because they are QUALITY supplements, they work wonders and they will give you FUEL before your workout and they will replenish afterwards to maximize your results! Definitely worth every single penny! I drink energize when I do intense workouts 15 minutes before I press play and it really does give me a nice little boost to be able to crush my workout without the jitters! After your workout, within an hour of finishing, drink recover which helps to EASE sore muscles, replenish what was broken down during the intense workout and get ready for the next one tomorrow!!! Are you ready to get this party started? This challenge pack includes everything you need to start out the program. And you save $200! 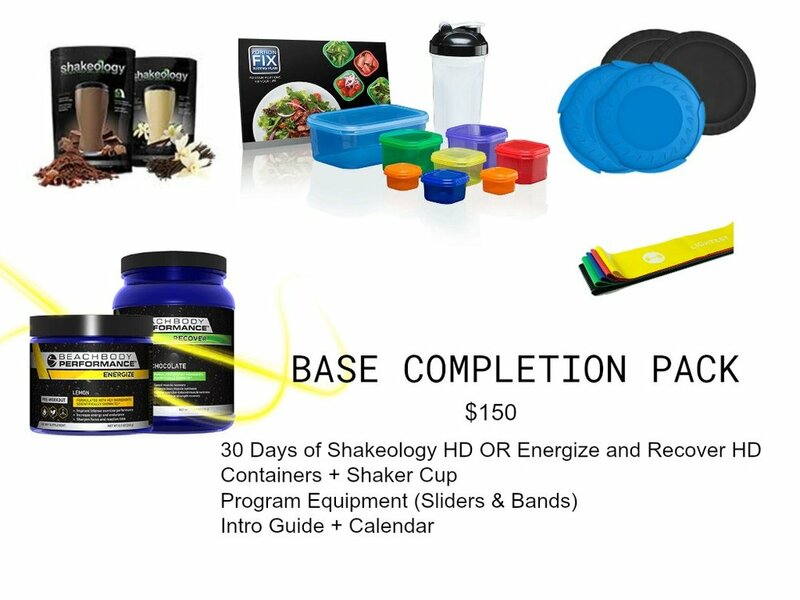 The difference in this challenge pack and the one above is that you get to try energize and recover for 30 days in this pack vs. having enough for the entire program. Are you ready to commit? This challenge pack includes the basics so you have what you need to start the program. 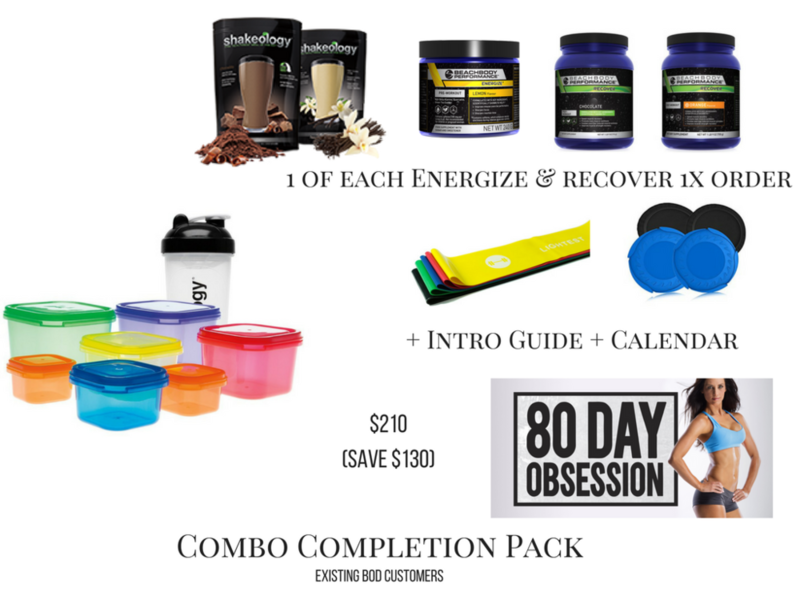 The difference in this package is you pick EITHER Shakeology OR the Energize and Recover supplements. This challenge pack includes the basics so you have what you need to start the program. The difference in this package is you pick EITHER Shakeology OR the Performance stack which comes with both Energize and Recover. Beachbody is offering a pre-launch discount! If you order your 80 Day Obsession challenge pack between December 14th and January 14th, you’ll automatically get $10 off! ALSO, any coach (working or discount) who places their order for either the ROCKSTAR -- Program Accessories and Performance Pack or the Basic will receive access to the exclusive Coach Test group on Facebook with Autumn Calabrese!! Email me at christie@christiemarkfeld.com for ordering instructions. Complete this form if you are interested in getting more information on the 80 Day Obsession program and challenge that begins January 15th.